Hi my loves! How's the weekend treating you so far? In my part of the world, it's the last day of our weekend so it means it's back to work by tomorrow! I've been working for 5 months here already but honestly, I still sometimes forget that work week starts on a Sunday here instead of a Monday. Personally, I'd still prefer Sunday to be a rest day. Anyhoo, for today let me tell you about some stuff from The Body Shop that I am currently addicted with. It's the Wild Argan Oil collection that was released I think about a month ago. The products in the collection are enriched with Community Fair Trade Wild Argan Oil from Morocco. I first came across this collection when I was looking for the anti-dandruff shampoo that the husband asked me to get for him. I'll be talking about that as well soon, because finally after a long time of searching and trying out anti-dandruff products, the husband finally found something that actually works! The SA made me try the Radiant Oil for Hair and Body and I think this is the star product of the collection because she was just too giddy about it! She applied some to my hair and to my arms. My first impression was it smells so good! I just couldn't stop smelling my skin after. 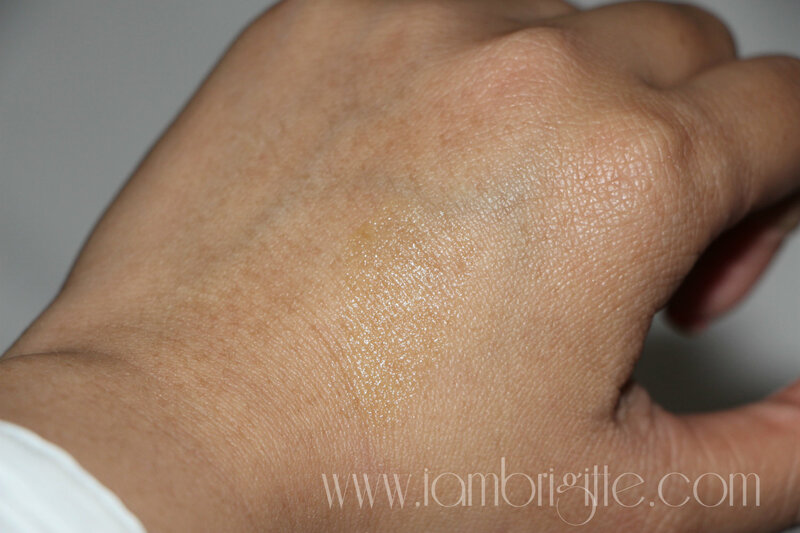 It was absorbed quickly on my skin making it look a bit shiny, looking and feeling moisturised but not in any way oily. As for my hair, she applied it only on the tips but just the same, it didn't make it look oily at all. She wanted to show me the rest of the items in the collection but I was in a hurry so I politely declined. But geesh, can I just say that she really has good convincing powers because though I already said that I won't be buying the oil that day, she still managed to talk me into it. Hahaha! I still have a bottle of body oil at home and I figured I need to finish it first before buying another one. Now, I am just glad she convinced me because I've been using the Radiant Oil every night after shower since I got it! I am totally in love with the product. Addicted, actually. It's light, it gets absorbed easily and this baby actually replaced my usual body lotion at night. It smells great too! 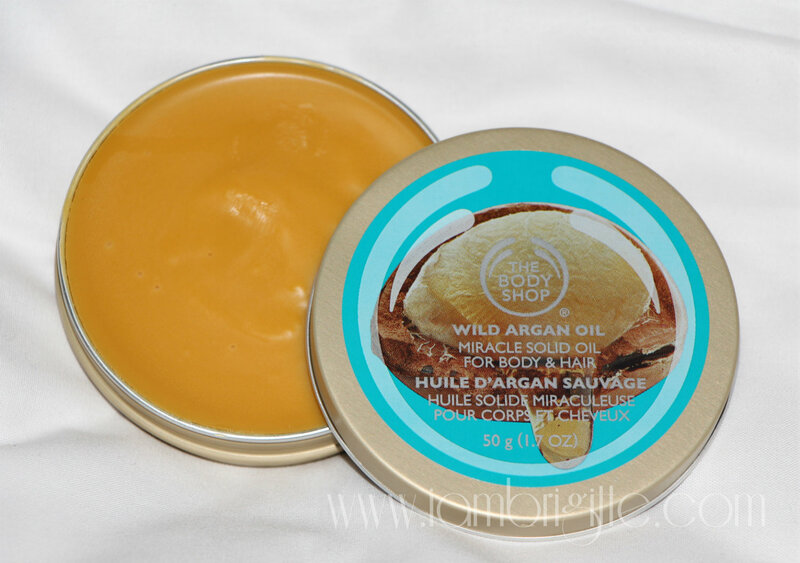 A week after, I was contacted by The Body Shop PR to pick up some items from their store. 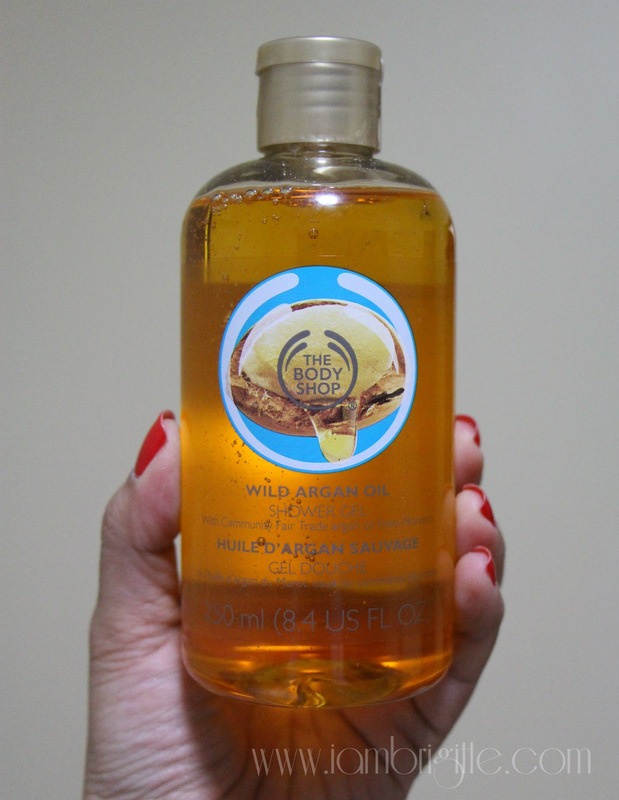 I secretly wished to get more products from their Wild Argan Oil collection because since their Radiant Oil is such a hit for me, I wanted to try the other items as well. And geesh, I wasn't disappointed. I was gifted with the Shower Gel, Rough Scrub and the Miracle Solid Oil. Thanks The Body Shop UAE! Don't be mislead with the word "rough" because this is not in any way a rough scrub. 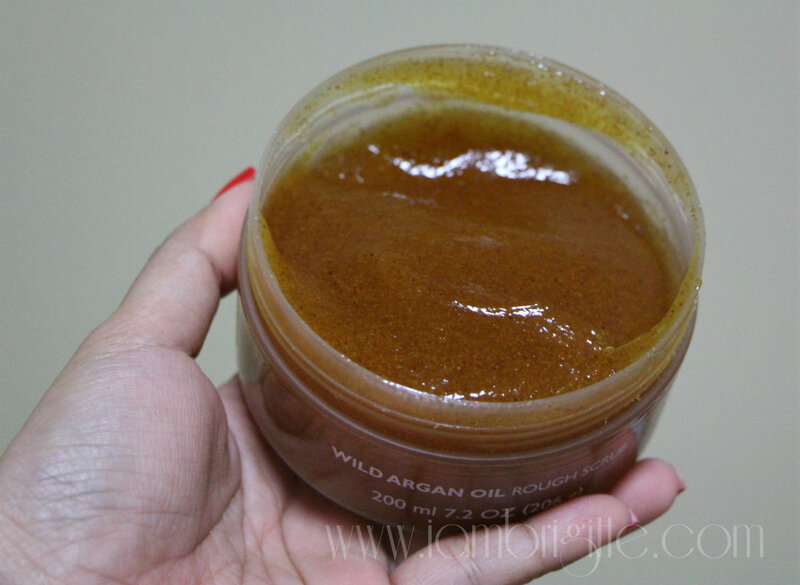 It has argan shell exfoliants but I don't feel any harshness at all when I use it. It's scrubby enough and has a jam-like consistency. I confess that I love using really harsh body scrubs because I feel like my skin is getting rid of dead skin but I dislike the tightness and dry feeling on my skin after. With this scrub, I don't even need a lotion after! This lathers well but I personally don't find it really moisturizing like some other shower gels I've tried from The Body Shop in the past. I still find the need to apply lotion or the Radiant Oil after. But I tell you, my shower smells so heavenly whenever I use this. I tend to use a lot too because I love how it smells and feel on my skin. 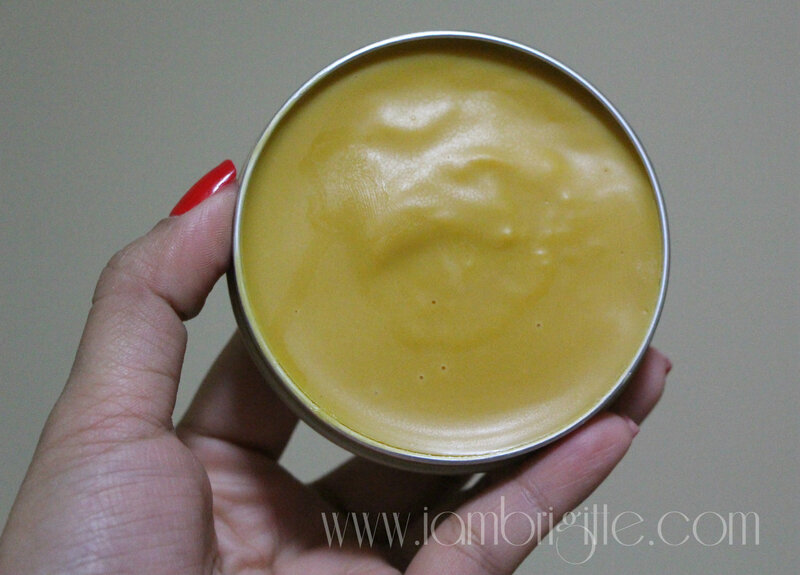 This is a multitasking product that you can use anywhere on your body that needs extra moisture. Well, except for the lips because they have a separate product for that! I love that you can just pop this thing out whenever you feel like moisturizing. And since it's solid oil, no need to worry about spillage. You can even include this in your hand carry baggage when you travel because it isn't in liquid form! Overall, I am really liking these products. The amazing scent is such a winner! It smells delicate, a bit nutty/musky with a hint of floral except for the solid oil which I think smells more nutty than the rest. Among all the products that I've tried, I find the Radiant Oil to stay on your skin the longest. I use it at night after I shower and it lures me to sleep almost immediately. I'd be getting the Body Butter and the Solid Oil for the lips next. And perhaps, another bottle of the Radiant Oil. I've been using it almost every night since I got it so I'm halfway the bottle already. If you are to get just one item from this collection, I would highly suggest the Radiant Oil! I am so in love with it and I'm pretty sure you'd be too!